As we get older, do we become more aware of the struggles and hardship in the world? I almost feel like it’s some kind of awakening from a blissful fog of youth. Of course, not everyone’s youth is blissful or perfect. As I read about (and share in) the experience and pain of others, I feel a constant tug on my mind and heart to do more for the people around me, and the world. 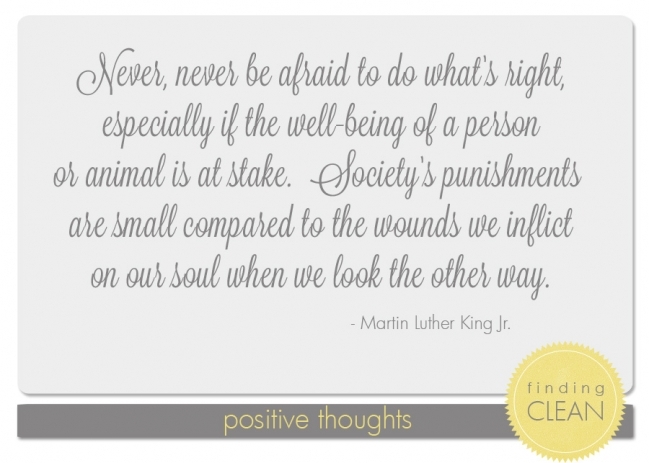 In honor of Martin Luther King Jr.’s birthday and the upcoming holiday in his honor, I wanted to share this quote. When I attended the Plywood Presents conference a few months ago, the founder of Krochet Kids said something that has stuck with me as well. I can’t quote him exactly, but his message was simply, don’t wait until you can change the whole world. Instead, do what you can NOW, with what you have now. However small.